You might have noticed the lack of activity on this running playlist site. This is because I was travelling for work and visited Houston, TX for the week. This week’s iTunes top 10 delivers some pretty good songs for a running playlist. 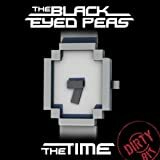 There’s a new Black Eyed Peas single, The Time (Dirty Bit), which like most of their songs, will no doubt be a hit at spinning classes, and Teenage Dream (Glee Cast Version) is also in the top 10 this week (Did you catch the last episode of Glee last week? it was one of the best!). Katy Perry has another one in the top 10, Firework, which will no doubt be there for a while given how much it’s being played on the radio, but I’ve accepted the fact that she is around so I won’t rant about that too much.